UM-Arizona State Discounts Apply ! 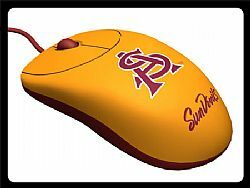 University Mouse - Rhinotronix has combined University insignias with the latest desktop technology. University Optical Mouse delivers performance for both right and left handed users.